The Southwest Ohio Regional Transit Authority (SORTA) has named the 2010 board members that will oversee the operations and direction of Metro – Cincinnati’s primary bus operator. Both Chair, Melody Sawyer Richardson, and Vice Chair, William Mallory Sr., have been re-elected to their positions. Also during that time Metro has faced extraordinarily difficult budget shortfalls due to what local leaders call a “failed” funding source and a difficult economy. As a result fares have been increased, service reduced, and ridership has even declined during this tumultuous time for transit agencies across the nation. The solution, seen by many, is a county-wide funding structure instead of one that only focuses on Cincinnati’s Earnings Tax. As SORTA’s re-elected Chair and Vice Chair focus on long-term plans for the transit authority there needs to be serious discussions about how to permanently right this ship and make Metro a financially stable transit operator. 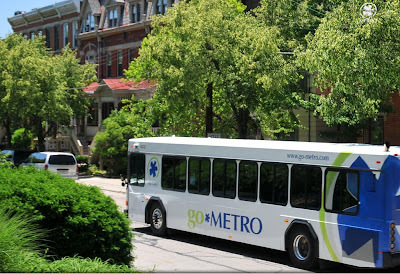 You can stay connected with the latest news and updates from Metro on Twitter @CincinnatiMetro.